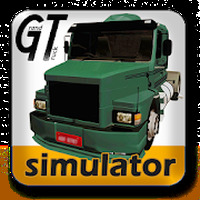 "Get the taste of driving trucks in this 3D simulator"
Game Goal: Maneuver various cargo vehicles carefully so you can be promoted and, of course, drive even bigger and better transport trucks. How to Play: The game puts you in charge of a huge cargo truck, which needs to be driven across different cities of the of São Paulo state. If you successfully complete your missions without suffering any accidents, you can unlock new trucks. Graphics: The graphics of the various models of transportation trucks and sceneries are well done. Sound: Quality sound effects, such as horns and the roar of the engine, make for a very realistic experience. Controls: The player must touch the arrows displayed on the screen to drive the truck. Content Classification: No age restrictions. Installation requirements: A minimum of 50M of free memory space and Android 3.0 or higher. 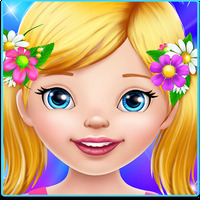 Rating: The TOP 5 Most popular games in Truck Driving Games category. Ranking: The TOP 1 Most downloaded games in Truck Driving Games category. Allows you to customize the trucks. The simulator features realistic effects. It is a robust game, which requires 1 GB of RAM. Do you like Grand Truck Simulator?